There’s a lot of excitement that comes with remodeling your Naples-area home. For a lot of homeowners the two biggest days are the day you finally begin your remodeling project and the day your project is completed and you get to start enjoying the fruits of your (and your builder’s) labors. But what comes next? What happens when the tarps are gone, the construction dust (yes, there will be some!) is vacummed away, and everything is bright, shiny, and there are no longer workers in your kitchen or bathroom? What happens when you have the chance to quietly examine the work that’s been done? 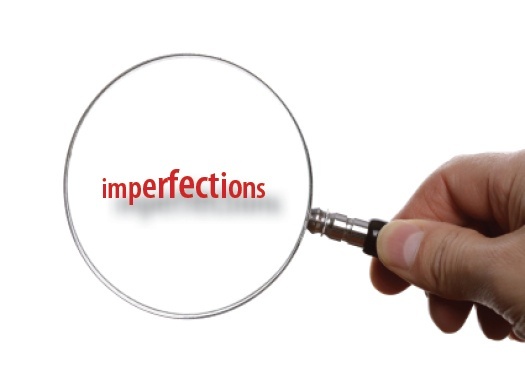 What happens when you find imperfections in your newly remodeled home? You’re going to pay good money for a good remodeling job, so you have every right to expect high quality. But it’s important to distinguish between quality and perfection. Home remodeling is not a perfect business. That doesn’t mean you should accept shoddy workmanship or substandard service. It does mean that you should have realistic expectations about what you find in the finished product. Let’s look at a few examples. In our 30-some years of experience working on homes in Florida, we have yet to find the perfect paint job. If you examine the paint job on your newly remodeled home with a fine-toothed comb (or a magnifying glass), chances are you’ll find a blemish or two, or maybe a line that isn’t perfectly straight. That’s perfectly normal. Sloppy painting, or paint that runs over the trim work? That’s not acceptable. You expect the trim work in your home to fit well—and you should. Will every corner match perfectly? No. That’s not realistic. But that doesn’t mean you have to accept big gaps or misallignments. Should you expect your doors (including cabinet doors) to function smoothly and to open and close all the way? Yes! If a few don’t, that doesn’t necessarily mean the workmanship is poor. They may simply need to be adjusted—and that’s a reasonable expectaiton. Should they be quiet? Yes. But will they be absolutely soundless? Probably not. The same thing goes for flooring. It should be level and (if it’s wood) it shouldn’t squeak. Does that mean it will make no noise at all? Probably not. This is something that can cause homeowners concern. Nobody wants to see cracks in cement work (whether it’s a wall or a floor). Once again, however, small imperfections often occur. If you’re concerned, bring it to the attention of your builder. He’ll let you now if they are something that needs to be addressed. Good craftsmen are serious about their reputation. They want you to be happy and tell others you’re happy. But small cracks that are purely cosmetic are generally unavoidable—and they are not a reflection on the quality of the work. Your warranty is there to give you security and to eliminate worry. At Reed Design Build we warranty the materials supplied and installed by us for one year against defects. All articles supplied by Reed Design Build, but manufactured by others, are covered by the manufacturers warranty. If you want a complete explanation of the warranties, your designer can walk you through it so that you know exactly what’s covered. You’ll also receive a copy of all warranties at the completion of your project. Will your remodeled room or home be absolutely perfect when it’s complete? No. Slight imperfections are part of the building and remodeling process. Talk about your concerns with your builder and make sure you understand which imperfections can be tolerated, which should be fixed, and exactly what’s covered by your warranty. Then relax and enjoy your “new” home!